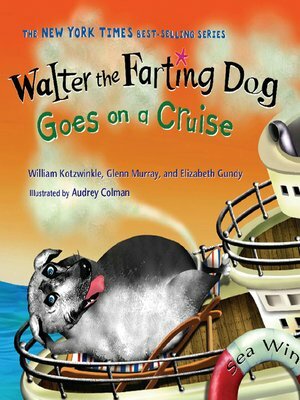 Walter the Farting Dog is now a hero of the high seas! Everybody is having a great time on a cruise . . . until a terrible odor permeates the ship. All signs point to Walter, and so he is first banished down below, with the stinky cheeses, and then into a lifeboat to float behind the ocean liner. Then catastrophe strikes! How long will the great cruise ship and its frightened passengers be marooned on the high seas? About as long as it takes Walter to digest that cheese! William Kotzwinkle and Elizabeth Gundy live in Maine.Glenn Murray lives in Fredericton, New Brunswick, Canada.